I recently played two Tomb Raider games, last’s years Tomb Raider reboot and Tomb Raider Underworld. The differences between them are a prime example of why I am feeling increasingly disconnected with so called AAA video games. Tomb Raider 2013 (from here on just called Tomb Raider) is easily the better made game, but I enjoyed Underworld more despite its flaws. There is a fundamental difference to the way they approach things that, even though Underworld’s execution is flawed, I still find it to be the superior experience. This is not about Tomb Raider changing what the series is really about; honestly I don’t care much about that. After playing these two games I’ve now played 5 Tomb Raider games and beaten 2 of them. (I have not yet reached the end of Underworld) I spent some time with Tomb Raider 2 way back in the day, but never played it enough to really gain an appreciation for it. I understood the importance of the series; along with Mario 64, Tomb Raider was essential to the development of 3D games. However, while games like Metal Gear Solid and Ocarina of Time built off of that foundation, Tomb Raider never really advanced. For all of the PS1 generation, it was stuck much the same as it started. 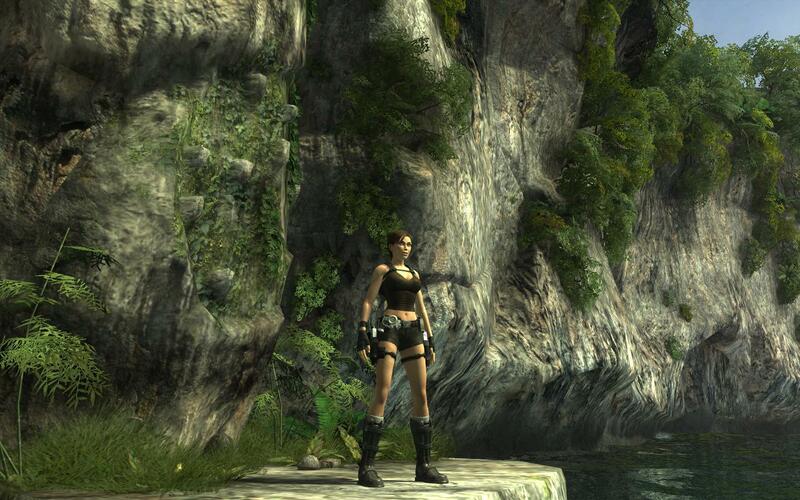 That sort of design bottomed out early in the PS2 days, and then the series rebounded with Tomb Raider: Legend. I liked that game because it took many cues from the Prince of Persia games from the same time. I beat that game and dabbled with Anniversary before the change in consoles left me out in the cold. So while I do have some experience with the series, it has never really been one of my favorites. While I wasn’t particularly thrilled with the direction that Tomb Raider when in, it has nothing to do with any delusions of it abandoning what came before it, a threat I’ve seen leveled as other popular games from long running series like Resident Evil 4. As I’ve already said, Tomb Raider is in most ways a better game than Underworld. The graphics are a big step up. Underworld has some nice environments, but Lara’s character model is grotesquely cartoonish. The environments look real, but Lara simply doesn’t fit in. Underworld also fails at times with its controls. No matter what I liked or disliked about Tomb Raider, I can’t think of a single situation when the controls did not work as intended. Within the first hour of starting Underworld it had already had its context sensitive inputs fail or misinterpret what I was trying to do a half dozen times. There are times where the camera doesn’t cooperate in giving you a useful view to maneuver through the environments, another thing that as not a problem with Tomb Raider. What I like more about Underworld than Tomb Raider is that Underworld is a game about exploration with some shooting while Tomb Raider is a game about shooting with some exploration in it. The focus of Underworld is in exploring various environments. They are obstacle courses, mazes and treasure maps; the point of the game is to look around and find what’s out there. Sometimes the obstacles in Lara’s do involve shooting, but that is far from the focus. 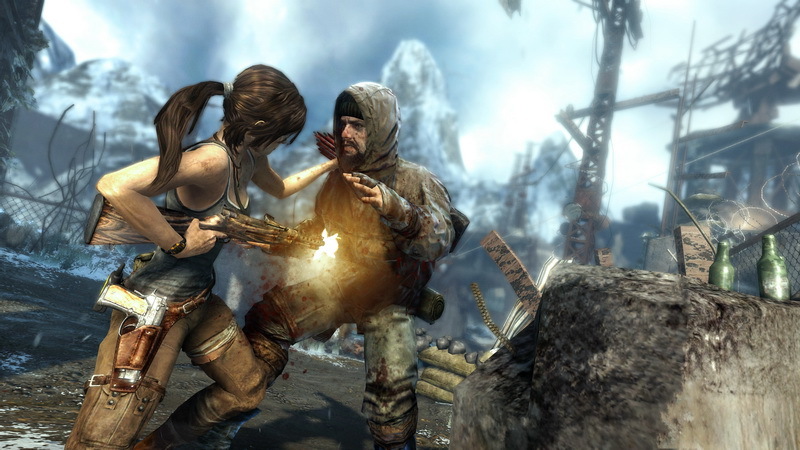 In Tomb Raider, the shooting is the main point. The exploring that is in the game is there for contrast with shooting. It ratchets up the tension with gunfights and set pieces; then lets the player cool down with some relaxing exploration. It is an effective combo, but it mostly succeeds in taking all the importance out of the exploration. The exploration is just the extra stuff. 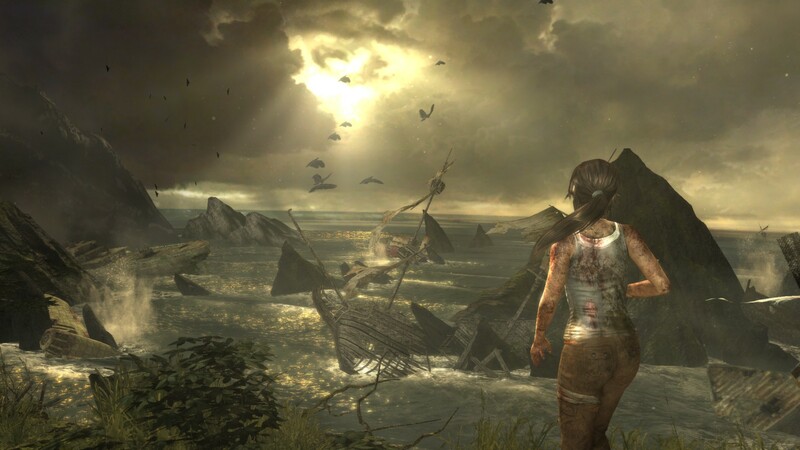 By itself Tomb Raider is a fine game, but it is also an example of a trend with big budget games. On the PS2 Ubisoft made Prince of Persia games about navigating a series of complex traps, but those gave way to the Assassin’s Creed series, which have similar, in some ways, gameplay but shift the focus onto killing people. The kind of platform and action games I like have given way to a cavalcade of shooters. Many of them are good games, but they are just not for me. Which is fine. Luckily, despite the myopia of big publishers, we are living in a golden age of new and different types of games. Sure, they might not have the production values and polish that games from big publishers might have, but the variety is astounding. As long as the indie game scene keeps cranking out new and interesting experiences, I don’t mind missing out on the big stuff.